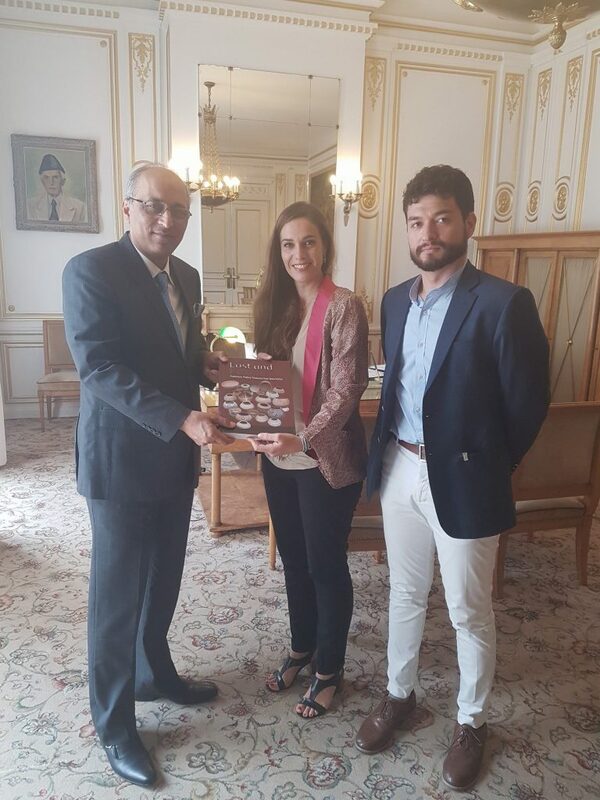 Dr. Aurore Didier, Director of French Archaeological Mission in the Indus Basin accompanied by Dr. David Sarmiento-Castillo called on the Ambassador today in his office. The Archaeologists explained activities of their Mission in Pakistan including recent excavation of historical sites of Indus basin in Sindh,survey and test of surrounding regions, scientific research and support to the Government of Sindh and the Department of Archaeology and Museums of Pakistan. 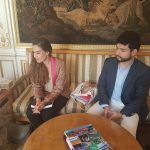 The French Mission of Archaeology which started working in Pakistan in 1958 is also imparting training to the select students of Pakistan and is pursuing short training scholarships in France and their advanced studies. A team of experts led by Dr. Didier is due to visit Pakistan for their field work in January 2017.
the Ambassador commended the extraordinary support extended by Dr. Didier and her team and ensured continued support of the embassy to the French Archaeological Mission. He also proposed to organize and exhibition of artifacts of Pakistan in France in colloboration with the French Archaeological Mission in 2018. 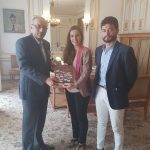 The Director presented two books prepared by the French Archaeological Mission in the Indus Basin to the Ambassador and shared report on her excavation works carried out at the historicla site of Chanhu-Daro, Taluka Sakrand, District Nawabshah (Shaheed Benazirabad. The Ambassador of Pakistan to France Mr. Moin ul Haque has said that people of Pakistan are its biggest and the most valuable asset and it is because of their resilience that despite immense difficulties the country is on its way to peace, prosperity, economic development and a strong hope of bright future. 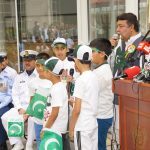 He was addressing the flag hoisting ceremony of 69th Independence Day of Pakistan in the Embassy of Pakistan here this morning. Explaining various steps the government was taking to strengthen the economy, he said that by providing necessary infrastructure including number of energy projects in order to enable industry to move ahead, the government was making its best efforts to secure bright future for its coming generations. He particularly mentioned CPEC which, he said had all the potential of being a game changer not only for Pakistan but for the whole region by opening immense opportunities for enhanced economic activity. He said that terrorism in Pakistan was being fast driven to its final destiny and now it is only a matter of time that the country will be back to normalcy, free of this menace. He said that decisive response of our people and security agencies has eliminated the safe havens for terrorists and their facilitators. He further said that incidents like Quetta are desperate and cowardly acts of the retreating enemy. He thanked French President for expressing solidarity on behalf of French people with the victims of Quetta blast and condemning this act of terrorism. The Ambassador expressed that it was an evidence that the world had realized that Pakistan itself was a victim of terrorism and that a unified response was needed to eliminate it. He said that the government of Pakistan recognizes the role and importance of overseas Pakistanis in the uplift of economy and movement towards development of the country and that it gives top priority to addressing their problems. The Mission aims to look after them in every possible way, he said. He announced to grant Jinnah Scholarship in studies for outstanding young Pakistanis living in France. Earlier, he hoisted the National Flag as National Anthem was played. 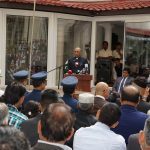 The messages of the President and the Prime Minister issued for the occasion were read out. 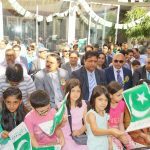 Apart from large number of Pakistanis living in Paris, their families and children and women, Member Punjab Provincial Assembly, Mr. Amir Mohammad Khan also attended the ceremony. A group of children presented “jeeway jeeway Pakistan” ‘milli naghma’. The officers and staff of the Mission and their families were also present. A reception was also hosted by the Mission for attending guests. The Ambassador of Pakistan to UNESCO Mr. Moin ul Haque has said that Pakistan places great emphasis on the cause of Education at national level. He said this while presenting his credentials to Ms. Irina Bokova, Director General UNESCO as Permanent Delegate/Ambassador of Pakistan to the prestigious UN organization here this morning. ADG UNESCO Mr. Eric Falt and Deputy Permanent Delegate of Pakistan to UNESCO Mr. Sajid Baloch were also present. all children till the age of 16 years. The Ambassador told the DG that Pakistan had included Constitutional provision 25-A to make Education a Fundamental Right till the age of 16 years. Our parliament has passed “The Right to Free and Compulsory Education Act 2012”, he said. He thanked the DG for raising the cause of Education, especially girl’s right to Education and Malala Fund at various global fora. He informed the DG that Pakistan has the honor of being the present Chair of E-9 member states, which comprise over half the world’s population. The Permanent Delegate/Ambassador appreciated the close working relationship between Pakistan and UNESCO and the personal commitment of Director General, UNESCO, which had been mutually beneficial. The Ambassador informed that Pakistan had always pro-actively supported UNESCO, including the discussions in Executive Board meetings, and that it will continue to do so. The Ambassador further said that Pakistan acknowledged and strongly supported the key role played by UNESCO in the most important sectors of education, culture and science. “We believe that continued interventions in these sectors will bring nations together and eventually improve the lives of the common people”, he said. The Ambassador informed that Pakistan was making best efforts for bringing solid and positive results in UNECSO’s areas of competence including Culture, Science & Technology, and Information & Communication. However, there were some issues of capacity and resource constraints, he said. He said that Pakistan welcomed collaboration in areas like Science, ICT etc. The Ambassador assured that Pakistan will extend full help and co-operation to UNESCO in implementation of its plans and policies. The Ambassador informed that the vibrant and rich cultural heritage of Pakistan was an asset that we intended to preserve for our coming generations. The Director General UNESCO appreciated the positive role played by Pakistan in UNESCO, and observed that Pakistan is one of the most active countries who participate meaningfully as the elected member of Executive Board, in all important committees and bodies of UNESCO. She expressed her pleasure over the civil award given to her by Government of Pakistan, and her fruitful visit to Pakistan. The Director General UNESCO appreciated the active contribution of Pakistan especially its Permanent Delegation, as a member of SDG Education Steering Committee and Chair of E-9 Initiative, in the drafting and finalization of the Education Agenda 2030 Framework for Action, as well as targets and indicators. She also supported the valid ambitions and aspirations of Pakistan and other E-9 countries. The DG informed that UNESCO hopes that more donors will come forward to support the initiative of Malala Fund for Girls Education in the near future. The Director General also invited Pakistan to explore and share the areas of further co-operation at country level, including science and culture. The Director General encouraged Pakistan to consider ratifying the “Convention on the Protection and Promotion of the Diversity of Cultural Expressions 2005”. She stated that Pakistan has rich culture and a variety of cultural crafts as well as cultural industry. Pakistan became a member of the United Nations Educational, Scientific and Cultural Organization (UNESCO) in 14th September 1949. Pakistan was elected to the prestigious UNESCO Executive Board in November 2015.